Tarek Chemaly: ISF and Ukranian Ambassador Igor Ostach outright win Independence Day! 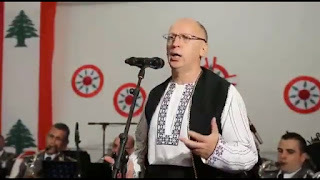 ISF and Ukranian Ambassador Igor Ostach outright win Independence Day! The Independence Day ad contest has bee outright won by the ISF orchestra and the Ukranian Ambassador Igor Ostach. Please look at the video. I for one am trying to get the goosebumps to subside. Excellent work gentlemen!